We can help you meet the new Baltimore County Landlord Rental House Inspection and registration requirements for rental property inspections, quickly & easily. Our service is designed to make the rental property inspection process convenient for you, the property owner! Everything you need is right here. In order to avoid a fine up to $1000.00, your Baltimore County, Maryland rental house unit must be inspected, registered and licensed. The new regulations for 2010 also include carbon monoxide alarms (see below) . To make it easy we have provided a link for all the forms you will need. For your convenience these forms can be filled in and printed using your computer, or printed and completed by hand. A Completed application with all information printed, typed, checked, or circled as appropriate. Applicable lead inspection certificate (see page 2 of application). Payment payable to “Baltimore County, Maryland” attached to payment coupon. ·Rental Housing Application - This form includes all the costs and information you will need to register your property with Baltimore County. ·Exemptions -Your property may be Exempt from Baltimore County rental registration. ·Lead Inspection - The state of Maryland may require your property to have a lead inspection. ·Payment Coupon - You will need this form to send with your check to Baltimore County when your inspection is complete to be sure you get proper credit. ·Inspection Sheet - This is the form we will use to complete your rental property inspection. See below for step 2: What we inspect. The Baltimore County Inspection sheet shows the 7 areas your property must pass. Understanding these requirements in advance will help you avoid the extra time and cost of a re-inspection. 1. SMOKE & CARBON MONOXIDE DETECTORS: A hardwired & battery backed interconnected smoke detectors must be present and operational on every level excluding unoccupied attics, garages or crawl spaces. Wireless remote interconnection is acceptable as long as the smoke detectors are hardwired and approved by a recognized testing lab such as UL and be listed and approved for sale, installation and use in Maryland by the Office of the State Fire Marshal. To ensure interconnection works properly, units must be same manufacturer. Smoke alarm units 10 years or older must be replaced. Carbon Monoxide Detectors are present on every level of the dwelling and audible in sleeping areas. Effective April 1, 2018. Different configurations are required depending on the number of units within the building. 2. ELECTRICAL WIRES: Electrical wires may not be visible in living areas. 3. WATER: There must be hot and cold running water in both the kitchen and bathroom, with no leaks below the sink area, and the toilet must flush. 4. BASEMENT SLEEPING AREAS: If there is a sleeping area in the basement there must be a secondary means of escape as follows at least one basement window with a minimum 5.5 foot opening and a sill height of 44 inches or less from the floor, OR a basement door with a thumb turn dead bolt. 5. FURNACE: The furnace must be either operational, or because of outside temperatures it is unable to be tested. 6. STAIR RAILINGS: A railing must be present for interior and exterior steps with more than 3 risers. 7. OTHER CONCERNS: Finally, the inspection sheet allows our inspector to note any other readily observable problems that, in the inspector’s opinion, represent an immediate threat to the health or safety of an occupant. A Residential Rental Inspection is ONLY $150. for the first unit. We offer discounts for additional units and multiple properties. Please give us a call we will make this easy, convenient and uncomplicated! WorkinMan Property Inspections will perform your Baltimore County rental license inspection and provide the Rental Inspection Sheet. Baltimore County has set forth a comprehensive list of items to inspect before a passing inspection sheet can be issued. 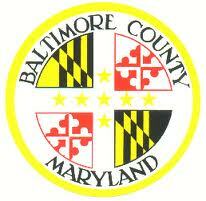 Here is a guideline for all Baltimore County rental property owners. To visit Baltimore County's website for a copy of the inspection and other requirements,click here. A hardwired smoke detector with a battery backup must be located in the hallway or corridor outside of the sleeping areas. If the property has a basement,a hardwired smoke detector with a battery backup must also be located in the basement, and it must be interconnected to the smoke detectors outside of the sleeping areas. Handrails must be in place for any stairway with more than 3 risers. Must be a ventilation fan or an operational window.Floors and caulking must be in good condition, toilets flush, sink provides hot water and does not leak. All 1st floor windows must open and lock. No broken or missing panes of glass in all windows. As of October 13th, 2010 all Baltimore County rental properties that have fuel burning appliances (furnace,hot water heaters,boilers,stoves ect.) must have a carbon monoxide detector outside of the sleeping areas. The carbon monoxide detector can be hard wired, plugged in or battery powered and must be maintained by the tenant. WorkinMan Property Inspections provides this guide to inform the property owner of what the Baltimore County rental license inspection consists of. We hope that it helps the property owner prepare for the Baltimore County rental license inspection. If you have any questions at all about the Baltimore County rental license or are in need of a lead paint inspection as well, please call or click the "contact us" link.